Jason Dimer is a Wongutha, Ngadju and Mirning man, and internationally recognised artist who specialises in narrative and figurative contemporary dot paintings. He was taught by his father producing work reflecting cultural ties to the land and stories of his family’s journey. The design is a collaboration and is based on story telling the significance of water to the land. “This project will bring a huge sense of pride among our community to see what great things can come from collaboration and mutually respectful relationships. 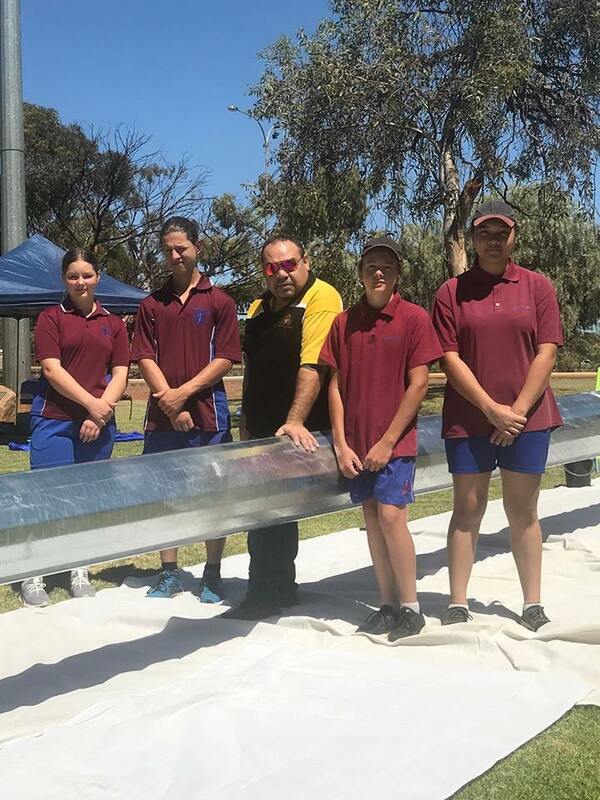 “Jason began art workshops with the students at John Paul College last week, where he had recently built a rapport with students during a school based mural program,” said City of Kalgoorlie-Boulder CEO John Walker. “Taking over a week to complete, the pole will be lowered for the duration for the painting to be completed. Once raised it will add to the impact of the existing flags as a fantastic entry statement to our City,” Mr Walker added. 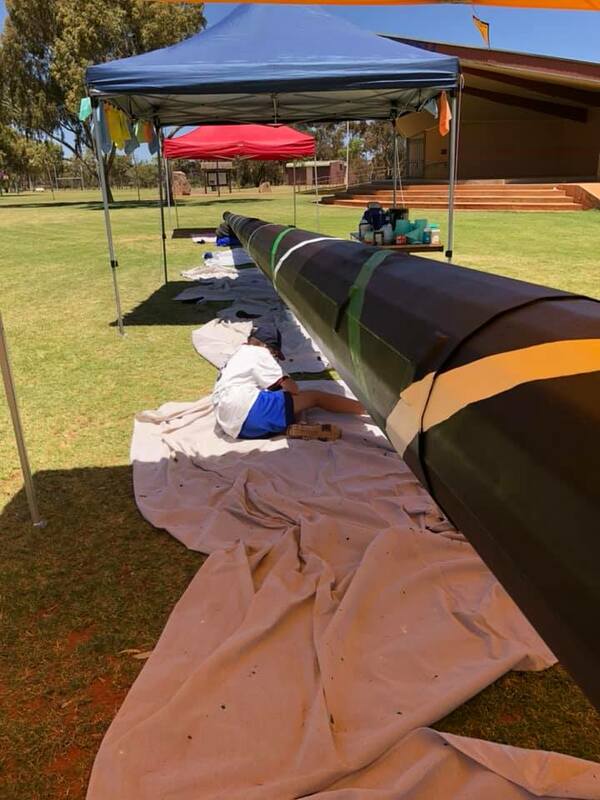 Students began painting the flag pole on Wednesday 28 November; the activity forming part of the City’s RAP launch. The public is encouraged to come and watch the artists working throughout the week, however the area will be cordoned off to allow drying and to keep people at a safe distance. READ MORE COMMUNITY NEWS AND DIVERSITY NEWS.